One of the poker world's most entertaining live tournament festivals is set to return this week in Dublin, Ireland. 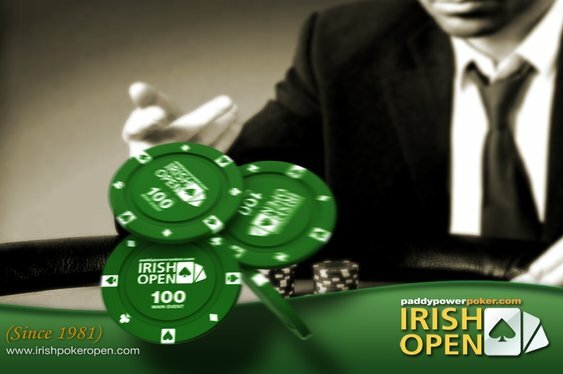 The Irish Poker Open is known as the longest running events in Europe and on April 3 the action will get underway in conjunction with Paddy Power Poker and the Double Tree by Hilton Hotel, Dublin. As ever the festival will be awash with local talent and travelling players looking for a way to boost their spirits and bankroll. Such is the appeal of this event that last year saw 411 players ante-up for the €2,250 Main Event. However, when the betting was over and the Guinness began to flow it was online qualifier Patrick Clarke who walked away with the trophy. After a back-and-forth battle with Dave Pollock heads-up, Clarke, who'd qualified online for €4, eventually clinched the final pot to take home his first major title and €200,000 (+€50,000 for being Paddy Power's Sole Survivor). This time around the Main Event will cost €3,500 to enter, but the organisers are hopeful the turnout will be just as impressive as last year. In fact, to bolster the event's overall appeal, there will be a full menu of side events also taking place between April 3 and April 6. As well as the €1,000 Liam Flood Memorial, players can also ante-up in a €335 Mini Irish Open and a €785 PLO event among others.